Oscar Aleman considers himself an environmental activist in the middle of a concrete jungle. He lives in San Salvador, El Salvador, where climate change “hits hard” and violence is expressed in various ways. While at an event about anti-metal mining organized by ActionAid’s youth campaigner network Activista he requested more information and was pleased with the organization’s proactive and inclusive nature. 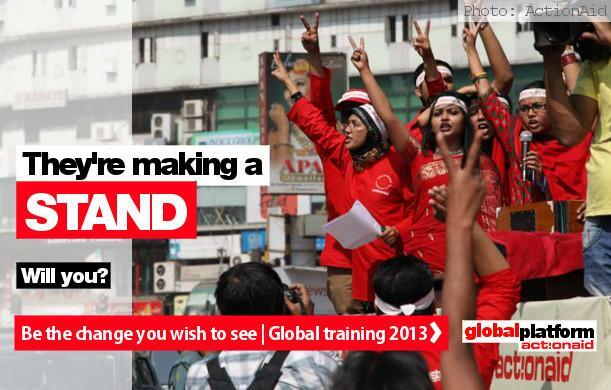 He took the Global Change Course, run through ActionAid, from March to May this year at the Global Platform El Salvador. He says he enjoyed meeting people from Central America who are also “flying the flag of different social struggles” including feminism, indigenous peoples rights, urban art expressions, the struggle of the poor peasants and the fight for environmental justice. “Once we got to know the experiences of one another, all those expressions were gathered in a synergy of pure activism. I enjoyed every workshop, every learning, every methodology, every strategy and tactic taught in the training,” he tells MobLab via a translator. The training taught Oscar things like how to create a press release, the importance of a campaign strategy and how to map organizations to gain allies. He is currently supporting struggles that aim to approve environmental laws in areas from water to Indigenous Peoples rights to ensure sustainability in his country. ActionAid’s Global Platforms are training hubs for empowerment and activism, providing youth with knowledge, skills and attitude to be active global citizens. More than 18,000 youth have participated in the Global Platforms training since 2009. Global Platforms have been established in Denmark, El Salvador, Jordan, Kenya, Myanmar, Nepal, Tanzania and the U.S. There are many different Global Platforms courses, including the Global Change Framework, which consists of five modules spanning one to two-and-a-half months where people live and learn together with others from a variety of backgrounds. Anyone can participate, and often participants come from ActionAid partners, community groups, social change organizations and universities. The platforms provide innovative training to organizations and youth who are 15-35 years old who are looking to engage positively in their societies. The aim is for young people to recognize the power they hold to positively change their lives and the lives of people in their communities. The vision is to inspire young people to be global citizens. Ann-Sofie Jespersen, ActionAid Global Platform manager in the U.S., notes the need to focus on creating social movements. 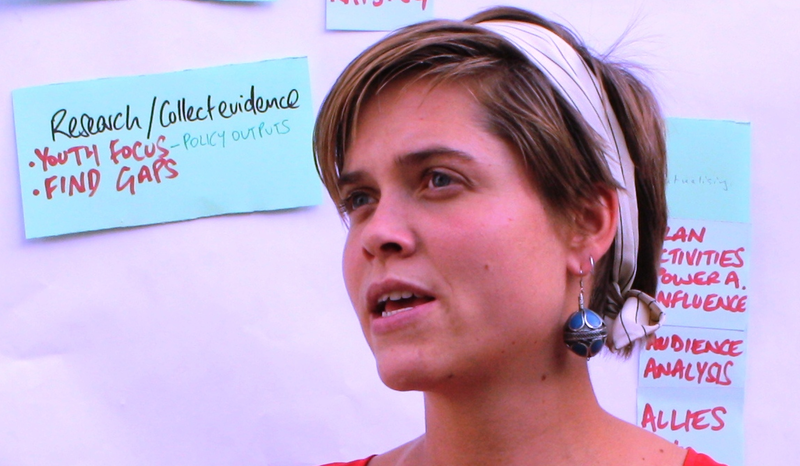 Ann-Sofie Jespersen, ActionAid Global Platform manager in the U.S., says the organization is working on programming and campaigning with a theory of change that there is unequal power relations in the world, causing poverty, which people can change through individual and collective action. She notes it is important to take global action, and link people in different communities who experience similar problems and people who can affect decision makers on a national basis in different countries. 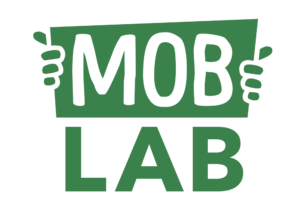 By connecting people from various countries through the courses there is a way to “break the framework” and get input on how to create campaigns and networks that link local and global struggles. In order for youth to plug into this change, ActionAid’s Global Platforms provide them with tools and knowledge but not necessarily under the organization’s name, which breaks from the traditional “campaign complex” — a very professionalized, organization-led, branded approach. “To me, that’s the most important part about what we are doing — it’s not important where it’s coming from. What’s important is the youth that have been part of our training can plug in with our campaign networks afterwards but they can also go out and start up their own things, or they can go and plug in with a bunch of other organizations,” says Ann-Sofie. “If we want to create social change we need social movements, and we need to stop branding everything. We need to think more about sparking passion and sparking action and sparking networks among people,” she says. A social movement encourages people to link up to the cause, rather than being limited to one organization doing one thing, she adds. The change that the youth create, and that after the course they describe themselves as a campaigner and a social change maker, is what’s key. The difference between social movements and top-down campaigns is having social change come from the people affected by the issue, such as poverty, and not necessarily from an organization. Ann-Sofie notes in the history of ActionAid there have been many people who mobilise in their communities in order to create change on a local and national level. With more struggles becoming a global issue, there is more of an effort to create global change. “We also need to be able to take global action, we need to link people in different communities who are experiencing similar problems but also people who can affect decision makers on a national basis in different countries,” says Ann-Sofie. This is why ActionAid’s training programs bring people together from different parts of the world and create global networks to link local and global struggles. Ann-Sofie says ActionAid is in the process of working to measure the impact of its Global Platforms. It is easy to measure the reaction and learning level of participants while the courses are running, but trickier when participants leave and are working in rural areas with less access to technology. ActionAid is interested to look at participants’ behavior level after the course, and the organizational change that is created. They organization is focusing on getting the stories of change and answering questions like; how do people act when they come back from a course? What kinds of organizations do they engage with afterwards? What do they do? “What’s really important for us is that youth go out to create social movements that they don’t work in boxes,” says Ann-Sofie, adding it is important that people tackle problems coming from the community. Among the examples of change arising from Global Platforms is The Bag Bringer Generation, an initiative born from a Global Change course in Kathmandu in 2011. The 21 youth from five countries started a campaign urging people to stop using plastic bags. Various activities were held during 13 days, including a flash mob at Durbar Square and collecting hundreds of signatures in a demand letter for the Ministry of Environment. The outcome? One of the most persistent forms of plastic bags have been banned in Nepal, and several supermarkets started selling cloth bags after the campaign. Another example of impact comes from the group of Global Change El Salvador participants in March to June, 2011, who visited communities around El Dorado to investigate the effects of gold mining. The cyanide-leach mining process proposed by North American mining companies in El Salvador used a huge amount of the already-scarce water and left behind only two per cent of its profits in tax. The Salvadorian government halted all metallic mining in 2009 because of water contamination. Environmental organizations, concerned the suspension could be lifted, urged the government for a complete ban. The participants developed a campaign strategy to involve more youth in the city and areas not directly affected. Events including a press conference and national radio programs were held, and people were invited to take photos with the slogan “I also want a law that bans metallica mining in El Salvador.” Among the results: The campaign was featured in a documentary and took centre stage at the annual Ecological March. 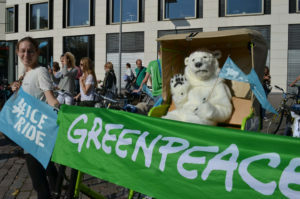 Participants were invited to present to the environmental committee, where MPs expressed their admiration of the campaign and promised to push the law forward. Participants are required to perform step-down training in their own network, and if they don’t have a network they create one, notes Ann-Sofie. The trainers on each platform have different specialities, and there is a focus on peer to peer training within Global Platforms. Many trainers are previous participants that went back to where they live, ran campaigns, and come back using their experience. Aman Lama, 21, is a trainer at Global Platform Nepal. He says Global Platform “offers the best combination of theory and practical knowledge” and teaches young people to become social changers. The platform gives people a space to talk openly with other trainers, which Aman says is one of the best things it offers. There are alumni networks through Activista that allows participants to stay connected. Giving youth tools to efficiently create change is important because “young people around the world are rising,” says Ann-Sofie, yet there are still many places where power relations neglect young people. “You can see such a difference when people walk into this training and (hear), ‘hey, you have the power in your hands, and you can get it by thinking in this way and using these tools,’” she says.